A woman has been fined for being a "smartphone zombie" in Wenzhou, and social media users in China are supporting the move. 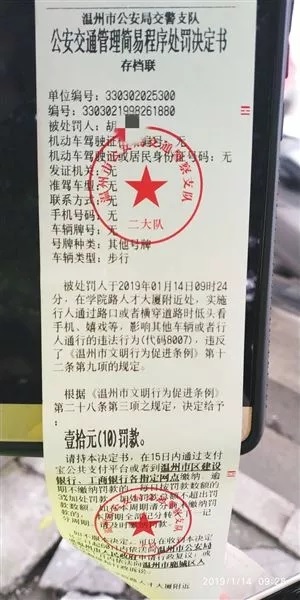 The woman, identified as Ms Hu, was fined 10 yuan for using her mobile phone while crossing the road. The woman violated regulations which came into effect on New Year's Day banning "activities affecting other vehicles or pedestrians". 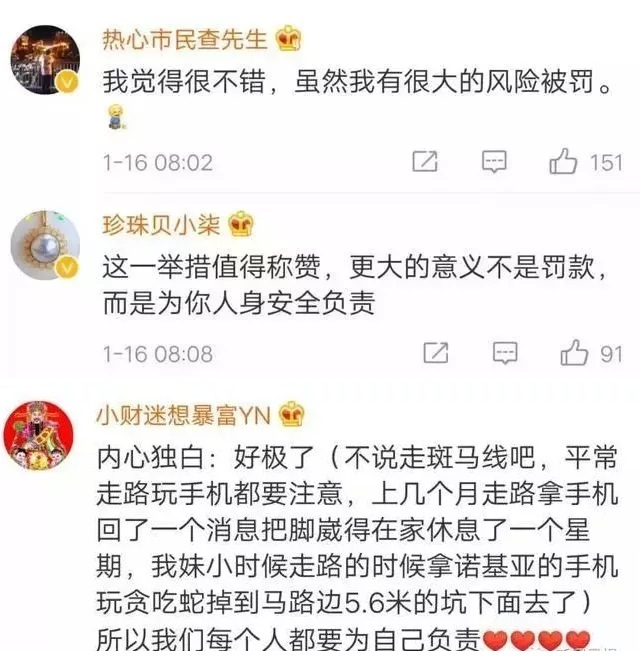 Reports of the fine, believed to be the first in the city, have drawn thousands of comments on Weibo, with many applauding the move. A number of people called the fine "commendable" and a "very good" idea. One commenter wrote that they "support" the fine, before urging people to "be responsible for others, and responsible for yourself!" Some called for the regulations to be "rolled out nationwide" to raise awareness of traffic safety. Others argued that the small fine should be more punitive, suggesting "it should start at 100 yuan". "If I happen to be on a zebra crossing and someone calls me, should I not answer the phone? In the process of rejecting the call, there's a tendency to look down at your phone. Is that allowed?," one person wrote on Weibo. 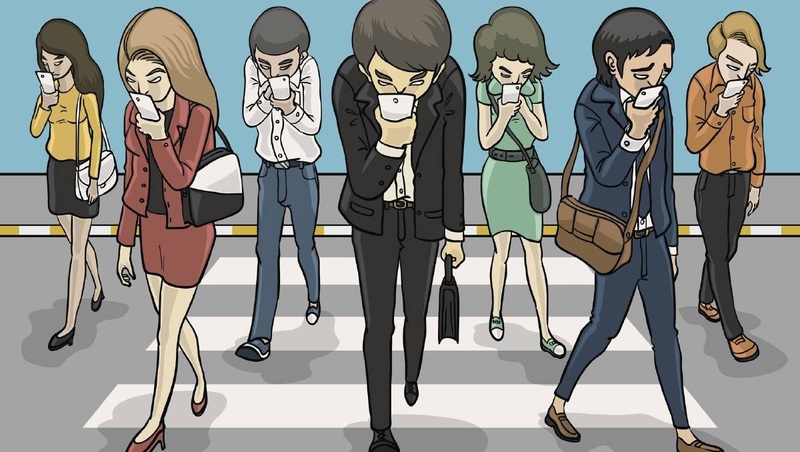 In fact, people shuffling about while looking at their phones has become such an issue in Germany, they have coined a word for them - smombies - a portmanteau of "smartphone zombies".